We invite inquiries and ideas from our listeners. Do you have a subject you are interested in and would like to suggest future subjects and guests for The American Age Radio ? 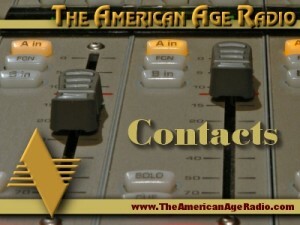 The above show host email address is provided in a graphic format in order to discourage automated spam email. Please use this email address in your preferred email program to contact the host. The above office email address is provided in a graphic format in order to discourage automated spam email. Please use this email address in your preferred email program to contact the host. Are you an expert guest that would be a benefit to our audience? We do not cover political subjects or political subject matter. 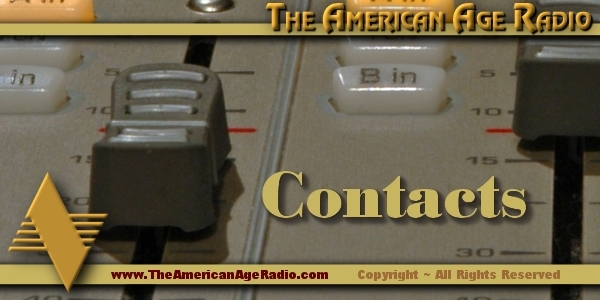 The American Age Radio is about Americana and American achievement. If you and your subject will connect well with our program and audience, we want to hear from you. Our program covers American achievement and Americana. We cover quite a range of subjects and people from science to popular American culture to adventures in our past, present and into the future. From our listeners with their comments and ideas for future subjects and potential guest experts who fit our audience and how we cover the American past, present and future – we love to hear from you.